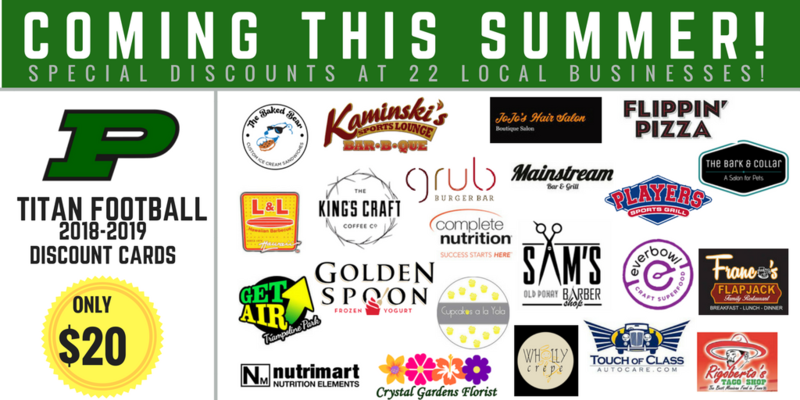 Check out the 22 local merchants that are participating! Hundreds of dollars in discounts! By buying a card you support Poway Football AND the community. 100% of the sales goes directly to all levels of our football program to help pay for equipment, uniforms, footballs, coaching & much more.